365 by Whole Foods Market will join Atlanta’s Buckhead neighborhood at Regency Centers' Paces Ferry Plaza in late 2017. The specialty-grocer offers high-quality products at competitive prices — a new model to serve its modern customers. “We are proud to announce that the first 365 concept in our portfolio will be within the lively Atlanta market,” said Andre Kolezsar, Regency’s Senior Vice President, Senior Market Officer. In addition, the 63,254 SF center is currently undergoing a modern renovation. The updated design will combine warm and inviting details with industrial charm such as extensive brick materials and details, stone finishes and metal canopies, along with rejuvenated hardscape and landscape. This will help convert the dated center into a shopping destination. Elevated building elements and improved signage enhance visibility, and the parking deck integrated into the 365 will provide customers with additional parking. 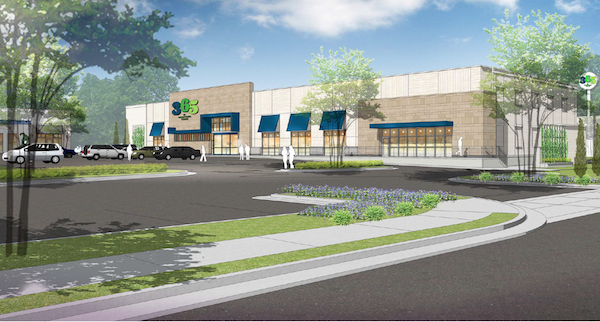 The specialty grocer will join a mix of local and regional retailers that include Woo Cosmetics, West Stride, ACE Hardware, Pero’s, Blue Ridge Grill, and recently opened Baby Braithwaite, an upscale boutique selling stylish baby clothing, gear, toys and accessories. “Woo Costmetics and Baby Braithwaite are great examples of the type of upscale retailers we are bringing to Paces Ferry Plaza,” said Leslie Mintz, Senior Leasing Agent. 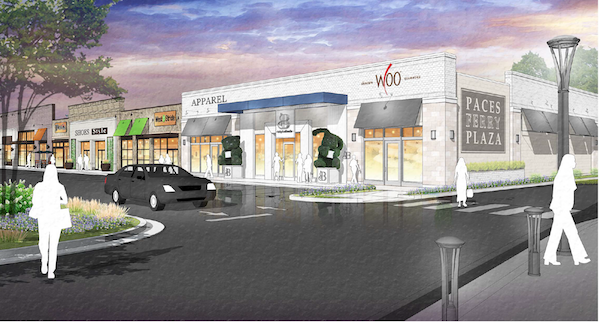 "Our plan is to add other complimentary retailers such as women's apparel, home furnishings and boutique fitness." Merchants will remain open for business throughout construction. For leasing inquiries in the Atlanta area, contact Leslie Mintz. Follow Paces Ferry Plaza on Facebook for center updates.